Do you need a break? Tune-in each week and join our continuing conversation about developing a lifestyle business, so we can all spend less time doing business, and more time enjoying family, travelling, and more time doing the things that matter to us all most. It's for these reasons we focus on strategies for both developing a passive monthly income stream, and passive ways of developing new clients and customers for your business. 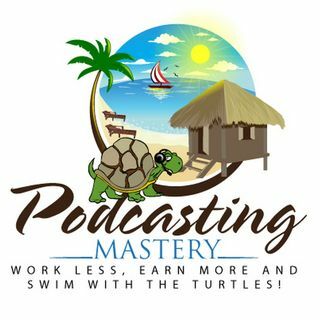 Hosted by 12 year podcast veteran James Martell and ... See More digital marketing specialist Kimberly Juchnowski, listen in as the two map out the why and how of podcasting, and get ready to work less and earn more!